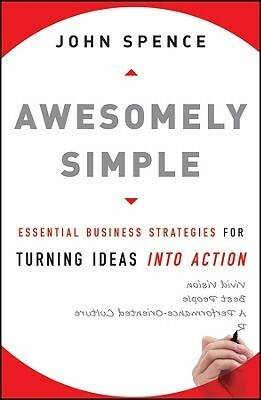 When John Spence, author of Awesomely Simple, opened ASAE’s Great Ideas Conference, I grabbed my pen and paper and held on tight for this fast talker. He shared lots of simple strategies to get things done. And when he was done, I ordered the book – because it was already sold out! Here’s one of my takeaways: talent is a strategic objective. Employees like culture that is fun and fair, filled with praise, freedom, meaning, and accomplishment. Executives like culture that has ownership mentality, competence, creativity, and execution. Staff members need to feel appreciated and respected. They will work for less money if they enjoy the culture of their organization. They won’t work for pennies, but within 10% of the average salary for their position. How often should executives praise staff? Every 5-7 days! Consciously catch people doing good work. Even after you’ve already got good talent on board, you have to continually recognize and feed it with challenging work and meaningful praise. There are many dependencies that lead to successful employment relationships. Notice that recognition is at the center, but it is bracketed by accountability and trust, and fed by clear goals and communication. Simple but very true. Adults are not all that different from children – adults need positive reinforcement and clear direction, too. This type of focus helps organization provide great results – and customers will respond in kind. For example, most purchasing decisions are made by word of mouth. Does your organization have a word of mouth process? There are many, many more strategies to make your organization successful. What’s your favorite – either from John’s presentation or your own experience? How far would you go to ensure your employees are happy?